This guest recipe by sanneleenman.com is one of my favorite recipes ever. It’s damn tasty, ludicrously nutritious, amazingly customizable and even the bro-est of bros should be able to prepare it without experiencing brain failure. 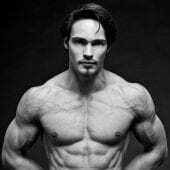 Ladies and gentlemen, let no Bayesian ever drink olive oil to consume enough fat ever again: I present to you the famous Tex-Mex, bodybuilding edition. The above is really just a template. This recipe is extremely customizable. Like spicy food? Go heavy on the hot sauce. Are you cutting? Substitute the beef with ground chicken or lean ground beef and serve it over pumpkin puree. Note: If you prepare this recipe in bulk and store it in the freezer or fridge, leave the avocado out and add it just before you eat it. The avocado might turn brown in the fridge otherwise. 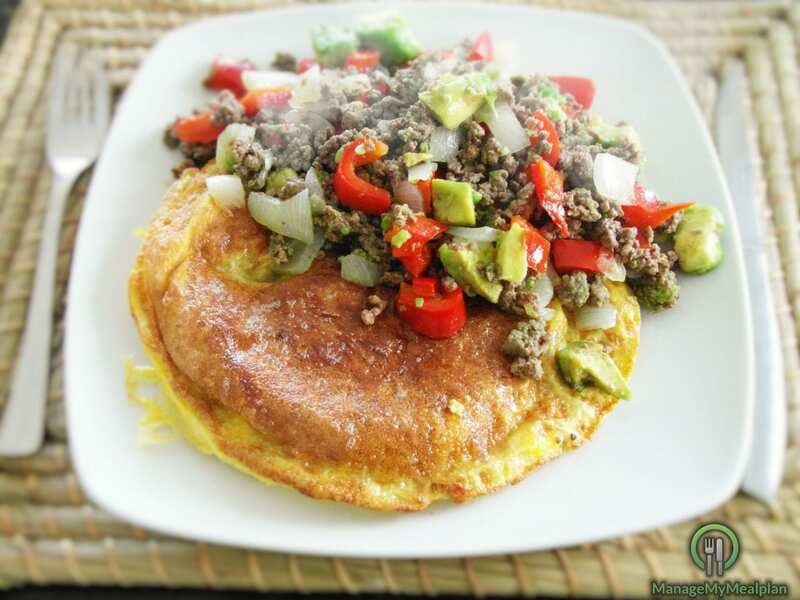 Good fatty acid profile, especially when served on omega-3 eggs or prepared with ground chicken or pork. Loaded with nutrients, including zinc and iron, both very common deficiencies, and vitamin-K, which is very difficult to consume enough of without lots of greens in your diet. 1. 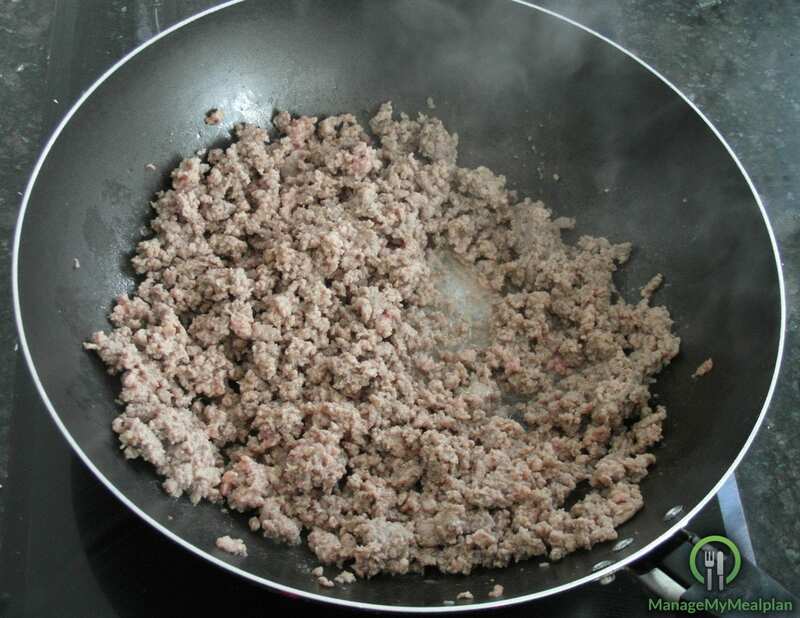 Cook the ground beef: Heat a tablespoon of olive oil in a large skillet over high heat. Once the pan is hot enough, add the meat and sprinkle it with half a teaspoon of salt. Brown the meat on all sides until no longer pink inside. 2. 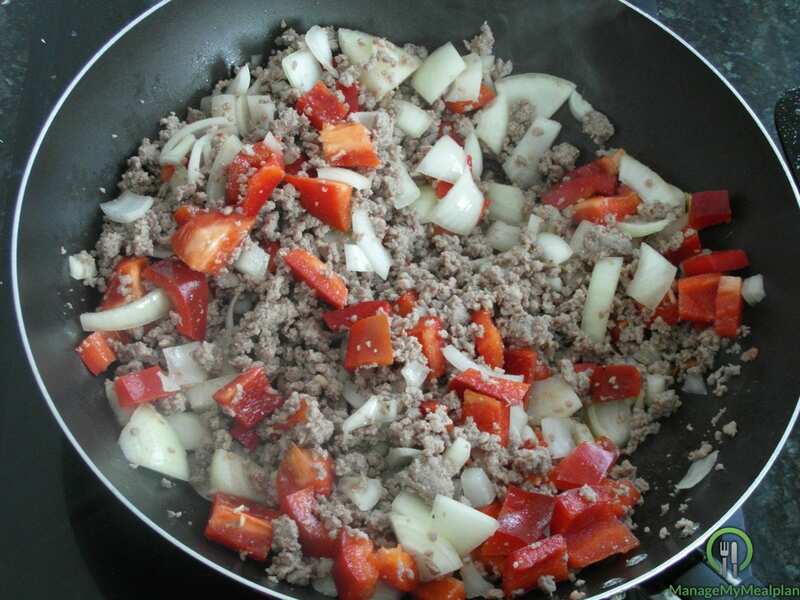 Chop the vegetables: While your meat is cooking, chop your tomato, onion and bell pepper. Once the meat is brown, reduce the heat to medium and add the vegetables to the pan (yes, I know technically tomato is a fruit). Let it cook for 2-3 minutes until they are tender. Meanwhile, chop the avocado. 3. 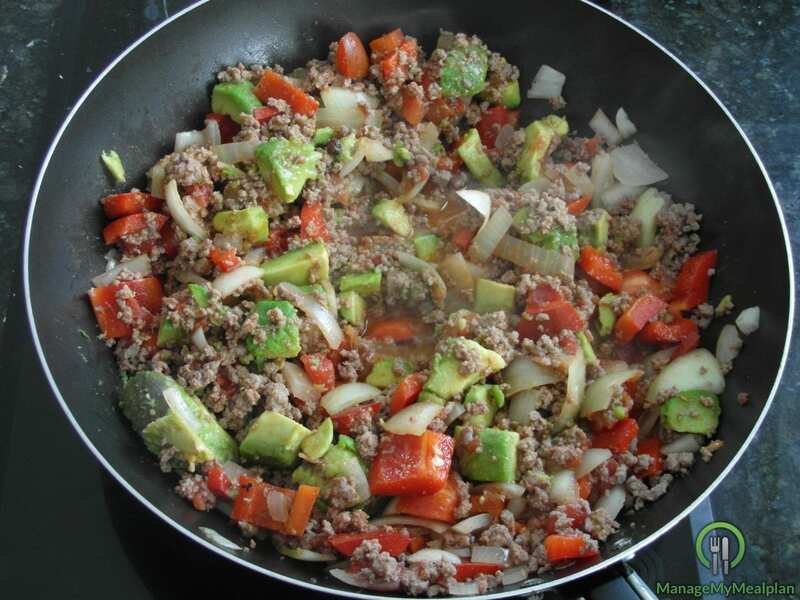 Combine everything: Add the avocado to the pan and bring it to taste with lemon juice, cumin, sweetener, salt & hot sauce. Let the mixture simmer for 2-3 more minutes.